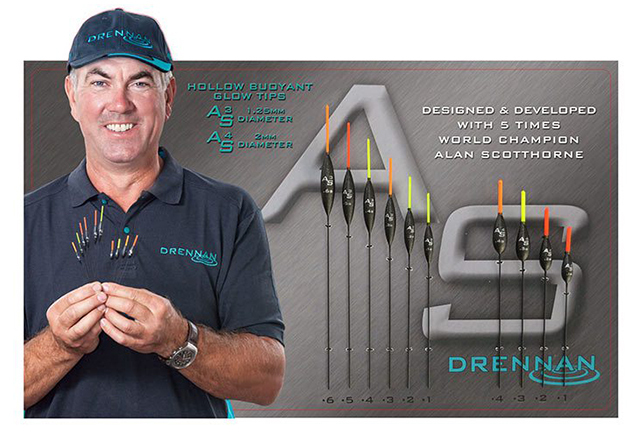 The AS3 has been designed and developed in conjunction with five-time World Champion Alan Scotthorne. 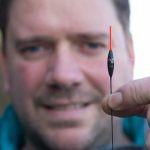 The AS3 has been produced in-house by our own engineers with many months of fine tuning using the most up-to-date and advanced computer controlled processes and machinery currently available, resulting in a beautifully consistent and reliable float. 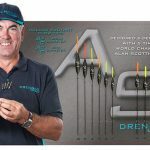 Alan has been using the floats extensively and is very happy with them, commenting on their remarkable consistency and build quality. 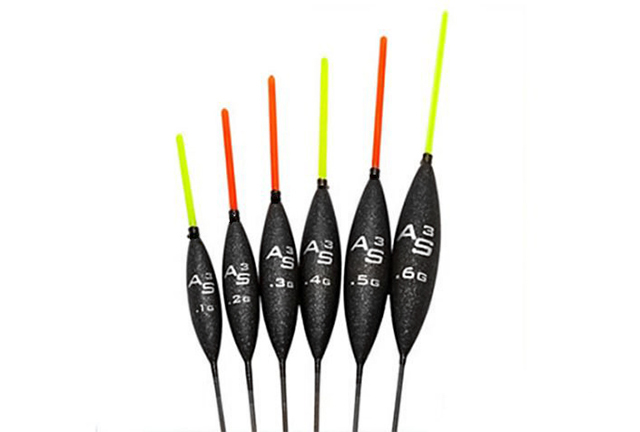 The AS3 is produced in a highly buoyant, light-grade balsa then given a special coating of our super tough acrylic paint that gives each float a protective shell-like finish. 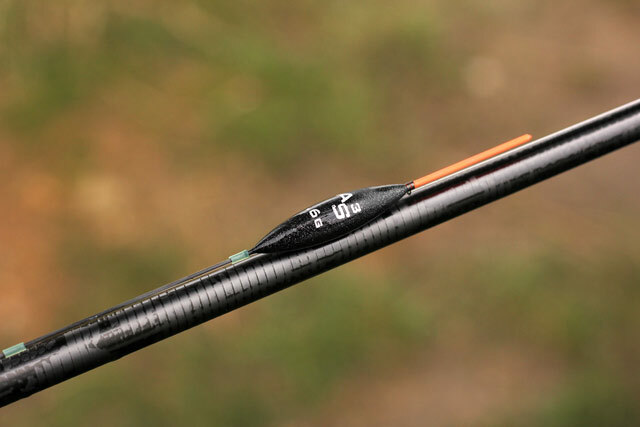 Couple this with a strong carbon stem bonded right into the body and a stainless steel spring eye located at the base of the hollow tip and this all adds up to a very strong and durable float that won’t let you down. 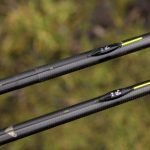 This pattern is designed for commercial fisheries but can also be used successfully on natural waters too. 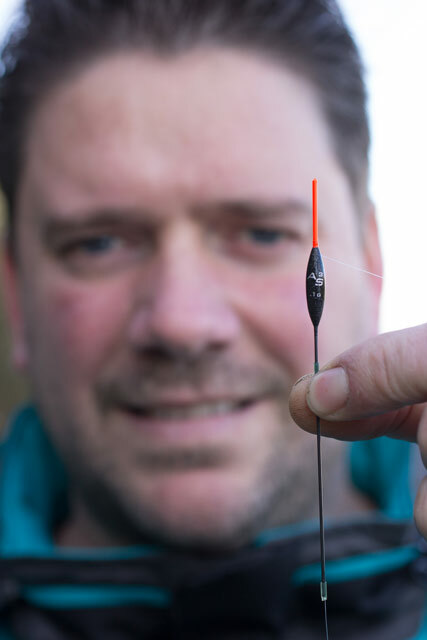 With its slim profile body and sensitive yet bright 1.2mm hollow tip, it provides little resistance to shy biting F1s, carp and silverfish and is perfect for baits such as maggots, casters and expander pellets. 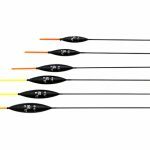 Glow tips on AS pole floats are rein­forced through the sec­tion where they join the body. 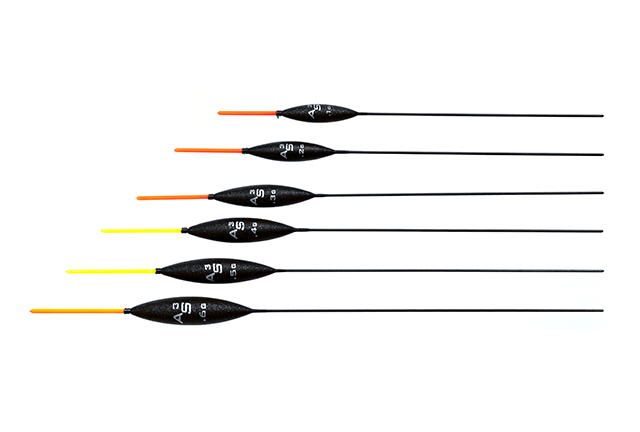 This strengthens the hollow buoyant tip at a crit­ical point and provides an extra strong found­a­tion for the eye. 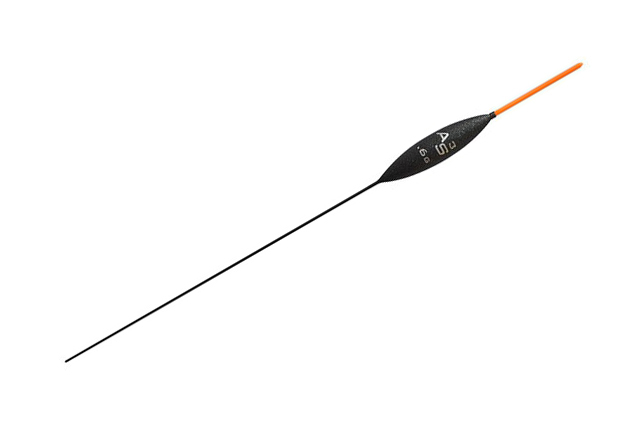 AS floats also feature a double wound stainless steel eye mounted at the base of the tip. 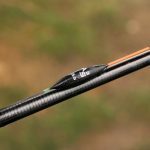 Being placed here offers the mechanically strongest position without piercing the body, and risking water ingress, therefore affecting the floats performance. Being double wound (i.e. the eye is fully round) means the line cannot get trapped and damaged as is often the case with conventional, single wound, U-shape eyes. 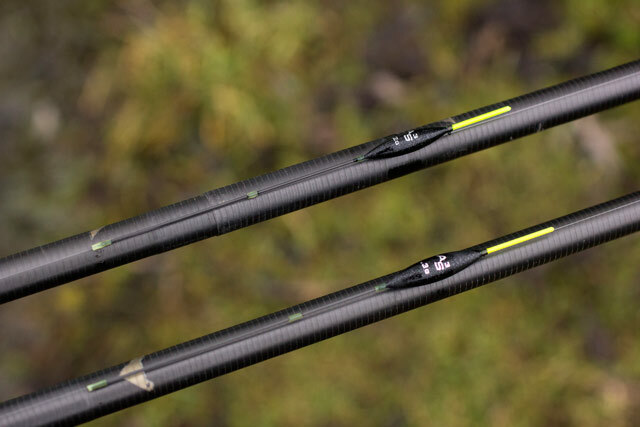 These special eyes are also made of blackened stain­less steel to match the body, giving a more dis­tinct demarc­a­tion line to the glow tip, so bites are easier to spot!